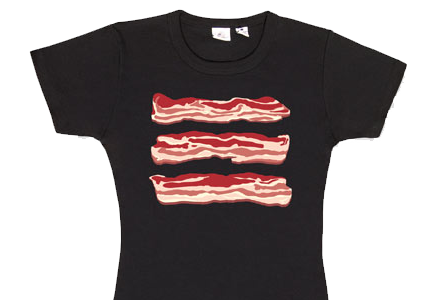 To celebrate our 100th post, we present to you the Best Bacon T-Shirts Ever! 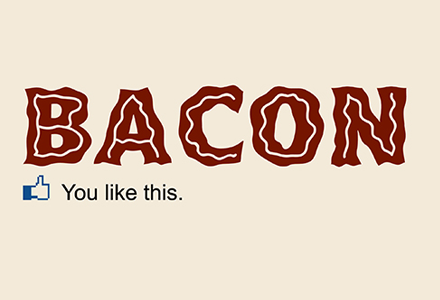 Ahh bacon, it’s been called lots of things, from meat candy to nature’s wonder food, and for good reason! Just ask the millions of bacon-ophiles around the world, you know, the guys who buy products like bacon tooth paste, bacon popcorn, bacon jam, bacon candy, bacon salt, bacon soap, bacon mints, or bacon lip balm! 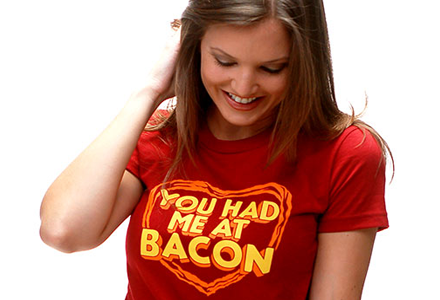 You Had Me At Bacon T-Shirt from Snorg Tees. 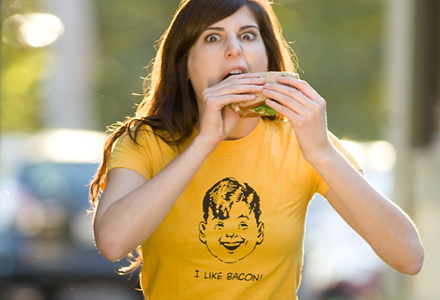 I Like Bacon T Shirt from Nerdy Shirts. The Infamous Bacon T-shirt w. model sporting bacon underwear from Rizzo Tees. Sparkle Bacon T-Shirt from ThinkGeek. 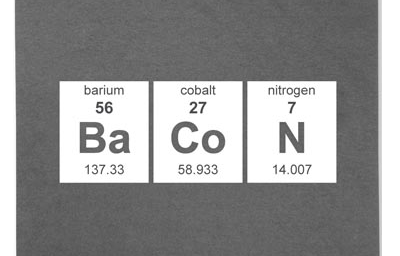 Periodic BaCoN T-shirt from ThinkGeek. 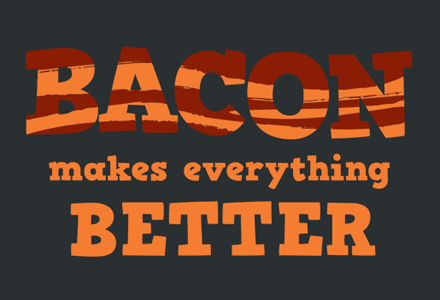 Bacon Makes Everything Better T-Shirt from Snorg Tees. 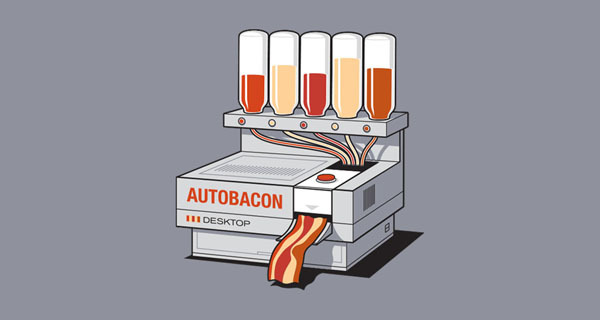 Push Button – Receive Bacon T-Shirt from 80’s Tees. 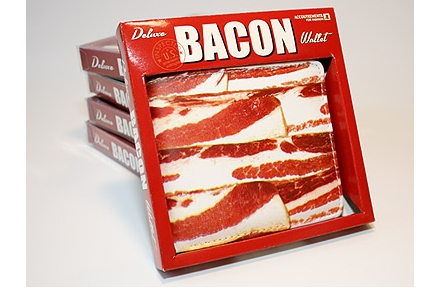 Bacon Wallet from T-Shirt Bordello. The, “Push button, receive bacon” has got to be one of the best social commentaries I’ve ever seen, displayed on a t-shirt. Wish it came in black though. Oh, and also agreed about it not being available in black – I think 95% of my t-shirts are.